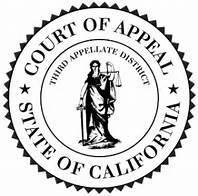 WHO: The Court of Appeal, Second Appellate District, Division Three, will host its “Appellate Court Experience” (ACE) educational outreach program, for students from Theodore Roosevelt High School and Teach Academy of Technologies. WHEN: Thursday, March 16, 2017, 9:30 a.m. to 11:30 a.m.
WHAT: ACE is co-sponsored by the Court of Appeal, Second Appellate District, the Constitutional Rights Foundation and the Los Angeles County Bar Association’s Appellate Courts Committee. HOW: The ACE program includes classroom curriculum administered by appellate attorneys, followed by a visit to the Court of Appeal to observe oral arguments in a case previously studied in the classroom. After oral argument, the students are introduced to the appellate court process first-hand with an opportunity to interact with the justices and attorneys. Schools wishing to participate in the ACE program should contact CRF at Laura@crf-usa.org. Lawyers interested in volunteering for ACE should send an email to BShatz@manatt.com. CONTACT: Joseph A. Lane, Clerk/Executive Officer, at 213-830-7000.